Market disruptors are commonplace in the unified communications (UC) industry, particularly over the past decade. We’ve seen the advent of BYOD, demand for more mobility, a plethora of new apps, better efficiencies through integrated technology, as well as an ever-increasing movement to the cloud. The industry is evolving due to consolidations, mergers and acquisitions and the emergence of new niche players. The latest announcement by Mitel that it’s going private and accelerating its move to the cloud adds yet another element to the competitive landscape. With this latest move, Mitel is signaling a focus on growing its cloud business. Though the company states that it will still offer on-premises options for now, it’s easy to assume that less R&D will be focused on that line of business going forward. Fewer choices will be available, especially for customers that are not ready or interested in moving to the cloud at this time. Channel partners selling both on-premises and cloud solutions could also be negatively impacted. UC customers benefit more by having options, be it cloud, hybrid cloud or on-premises, depending on their current business situation. A provider that can optimize the technology already in place, while helping to create an effective ongoing UC strategy, is more important than ever. Frost & Sullivan pointed specifically to NEC’s Smart Enterprise strategy when recognizing the company for this award. The Smart Enterprise approach brings together communications, networking and IT solutions to help people work and communicate better. NEC’s approach is not to combine disparate components. Instead, we tap into our services-based offerings of cloud UC, analytics, biometrics, IaaS and software-defined networking (SDN) technologies to design communications and IT solutions that meet on-demand requirements. Our broad portfolio brings the agility, flexibility and efficiency required for business transformation. A wide range of technologies and services helps us create solutions that address customers’ current and future business needs and challenges by driving safety, security and operational efficiency. Our competitors really can’t offer that range of capabilities. Additionally, here in the U.S., we have NEC Financial Services which delivers extraordinarily customizable leasing structures to customers nationwide. This allows customers to enjoy the benefits of an on-premises solution while taking advantage of the OPEX financial model which is the same as a cloud solution. Each organization has its own requirements and aren’t easily configured into a “one size fits all” mold. They want options, and NEC has a track record of offering customers more choices. When moving to new UC solutions, customers benefit from being able to re-use or add value to their existing investments in communications technology. We can assist by offering on-premises, cloud or hybrid solutions. Our vast portfolio of solutions enables us to offer broader solutions to solve both IT and communications challenges. Technology will continue to evolve. NEC has shown throughout our history that we have the capability of understanding customers’ needs and evolving our solutions to meet those needs. Want to know more? Download this eBook for more on how NEC can help you. Having the technology edge can help you seize new opportunities faster, putting more distance between you and the competition. To learn more, fill out the form and download the ebook. The annual Enterprise Connect event attracts communications and IT professionals from around the world to delve into the newest technologies, share best practices, sample new ideas, and learn firsthand from expert insight. This year, Enterprise Connect 2018 in Orlando presents a chance to discover something new that could improve your organization’s operations, and potentially increase business opportunities as well. For the past 20+ years, NEC has brought its biggest and brightest ideas to the conference and expo. We’ve always found this event to be an excellent opportunity to meet with our customers, prospects and partners and participate in conversations and idea exchanges in a more personal way. In 2018, NEC will be featuring an impressive display of its solutions for the Smart Enterprise. Current strategic business disruptors are driving digital transformation for today’s organizations—regardless of size or region. To help organizations thrive in this environment of change, NEC offers Smart Enterprise, a comprehensive approach to safety, security, efficiency and reliability—by integrating NEC’s own unique mix of technologies and solutions. We offer something that no other competitor can bring to the table. Visitors to NEC’s expo booth #913 will see firsthand how digital transformation and advanced approaches for delivering and managing communications and IT services can help Smart Enterprises thrive. In addition to the Smart Enterprise experience in our booth, NEC speakers will be featured in several conference sessions. We invite you join us during the following time slots. Sam Safa, Sr. Solutions Development Manager, of NEC Corporation of America, will join a roundtable of industry experts. JP Najar, Sr. Solutions Architect – Cloud, NEC Corporation of America, will participate in a roundtable discussion with vendor representatives. This session features several use cases, including one from NEC customer Brad Hazelbaker, Network & Telecommunications Manager, of St. Elizabeth’s Healthcare who will also participate in the roundtable discussion. We’re counting down the days until the Enterprise Connect conference kicks off on March 12. To save $500 off a full conference pass or get a FREE Expo Plus Pass, simply register through NEC’s Enterprise Connect web page and enter discount code: NEC. 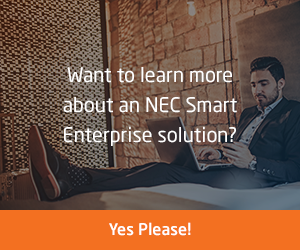 If you are interested in learning more about NEC Smart Enterprise solutions or would like to set up a meeting with an NEC expert during Enterprise Connect, please fill out and submit the following form. More information about attending Enterprise Connect is available here. Let us assist you with your current business needs! Fill out the form today and we will get back with you. Seems like every time I read about what’s happening in the marketplace, I learn that there’s another merger or buy-out happening in the enterprise communications space. Mitel announced recently it is acquiring rival ShoreTel, reportedly to accelerate its “move-to-the-cloud” strategy. This acquisition, along with other recent moves by Avaya and Toshiba, only reinforces my belief in NEC’s strategy for the Smart Enterprise. NEC’s long history and innovation heritage means we are much more than just a voice and UC company – we are a true enterprise technology pioneer with roots dating back more than 50 years in the United States and over 118 years in Japan. In developing our wide range of technologies and services, we strive to build solutions that will address specific business needs and challenges by driving safety, security and operational efficiency. These solutions, when integrated and combined in various scenarios, form our portfolio for the Smart Enterprise – our definitive technology strategy for NEC’s vision of the future. But let’s get back to the cloud, and more specifically, Unified Communications as a Service (UCaaS). NEC has developed a wide range of unified communications (UC) solutions that can be deployed in the cloud, on-premises or in a hybrid scenario. For starters, NEC has a strong UCaaS offering called UNIVERGE BLUE Business Cloud Services. UNIVERGE BLUE allows a business to host all or just some of its UC in the cloud. We also offer the UNIVERGE SV9100 BLUE solution, which is a full phone and UC system deployed on premises with no large up-front investment. The cloud allows us to offer SV9100 BLUE as an operating expense with a single bill for hardware and service. All of this is offered today through our extensive channel partner network. Our portfolio also includes Infrastructure as a Service (IaaS), software defined networking (SDN), data center technologies, Unified Communications (on-premises, cloud and hybrid), biometrics, analytics, Internet of Things (IoT) and Artificial Intelligence solutions. With a world-class network of Channel Partners and as a direct solutions integrator, we can deploy these solutions globally. Here in the U.S., we also have NEC Financial Services which delivers tailored leasing structures of extraordinary flexibility to customers nationwide. Additionally, we are discovering new and innovative ways to utilize our biometrics solutions by integrating them with our other solutions. For instance, we have developed a virtual receptionist solution that integrates one of our biometrics applications with our Android™-based touch-screen UT880 telephone. The telephone can be placed in the lobby area and a remote worker is able to greet visitors and then screen them through our NeoFace Watch facial recognition application. While the technology world is ever-changing, one thing that you can count on is NEC and our solutions for Smart Enterprise. We have demonstrated over the years our long-term commitment to our customers and to understanding their unique needs as well as their particular vertical industries. If you are ready to learn more about our solutions for Smart Enterprise and how they can help you optimize your business, please contact NEC today for a free consultation. Is Your Business at Risk Running an Outdated Communications System? You know your communications system is way past its prime, and economic pressures have led you to delay its upgrade or replacement. But there comes a point in time when it no longer makes sense to put off replacing your communications assets—from both a financial perspective and a business/productivity perspective. Retaining outdated equipment can essentially increase your IT costs and prevent your users from utilizing communications tools that help your business processes. Plus, keep in mind; the greatest risk to your business if your communications go down is your business shuts down. This can lead to huge losses for your business, including customer dissatisfaction, customer loss, damaged reputation and costs related to regaining your reputation. These all can greatly affect your business and result in huge losses. Phone systems are one of the assets that many companies take for granted as long as they have dial-tone. They don’t think much about it and will definitely spend their budget elsewhere if they can. As a result, many of these organizations are sitting on archaic (or end-of-life) equipment that is no longer efficiently supporting their business while possibly putting it a risk. Yet for some, the prevailing practice is to continue operating the existing system well past its useful life and beyond the end-of-support – not realizing the potential costs and the risk they are putting their business in. We don’t have the budget, or there is a higher priority budgetary request. The lifespan on the last communications system was too short. We’re afraid that if we upgrade tomorrow, something better will come out next week (a.k.a. the cycle of obsolescence). We’re unclear on our unified communications plans and how our phone system should fit in with UC. Newer phone systems are becoming too complex to use. The buying cycle is too long, and we will have to get too many people involved who will all have different opinions. We don’t know which approach to take—i.e. premises, hybrid, or cloud-based. There’s a chance that the phones you think are supporting your business aren’t. While the value of your older technology may not have appeared to change—for example, the phones still work, and you can still make calls—the outdated system may be hurting your business. We know the decision to move to a new telephony system is sometimes a difficult one to make. That’s why we’ve created the following list of 3 of the benefits of a modern unified communications system over an outdated phone system. Every day your business uses an analog, TDM, or older VoIP phone system that has reached end-of-life, you run the risk of having your phone system fail without access to support. If that happens, revenue will likely be lost as a result. How much? Well, you could lose what equates to hours, days, or even weeks of revenue—depending on the amount of time it takes to quickly repair or worst case find and install a new system. Not to mention what was previously stated about customer dissatisfaction and loss. And hurrying to find a new system isn’t ideal. If your system fails, it could mean you are forced to make a quick replacement decision. Companies that don’t have the time or don’t take the time to research properly before purchase usually discover they’ve spent too much money or are unhappy with their purchase after it is too late to change it. Taking the time to find the right IP Telephony solution or Unified Communications solution will improve your business processes and efficiencies without over-extending your budget. Maintaining separate systems like directories, conferencing software, voicemail, and telephony is expensive and time consuming for IT departments to sustain. In fact, it can be so time-consuming that the IT department spends the majority of their day keeping these systems functional—time that can be better spent on more strategic IT projects. When you factor the lost IT time spent maintaining each separate communications system with the opportunity cost of not having the advanced applications and features that modern unified communications provides, you end up with a total cost that is just too high for most businesses to ignore. Have you stopped to think about whether your competitors are taking advantage of modern communications software? If they are and you’re not, then chances are they are able to work smarter, faster, and more efficiently. Working smarter gives them an edge by increasing their productivity and creating a competitive advantage. While the cost of upgrading may seem high, the advanced applications and features associated with modern communications systems will help re-gain lost competitive edge and offer companies an opportunity to better serve their customers. First, a new system can help you increase your revenue by providing your business with the communications applications needed to be more productive and efficient. You could gain better advantages and increased competitive edge by choosing a modern solution with a lower total cost of ownership and features that enable collaboration across your business, improving the speed of your communications. Secondly, UC provides communications software that makes enterprise-level communications applications available on an ad-hoc basis. This either gives you access to applications that you might not have previously been able to budget for, or, saves your organization money as you no longer have to pay the fees required to utilize multiple services. Replacing hosted web, audio or video conferencing services is a perfect example. The accrued savings can boost the return on your unified communications investment, and expand your competitive edge through re-investment into other IT projects that help your business grow. If you fear that your new technology will become obsolescent and use that as an excuse to avoid upgrading, you shouldn’t. Look for vendors that offer software assurances and extended warranties for hardware that will provide your business with more security and less risk in the long run. With a modern communications solution, you ensure that your system has the flexibility to handle rapid growth, giving you the ability to provide support to your increasingly mobile and distributed workforce. Your IT team will re-gain some of their time, allowing them to focus on other strategic IT initiatives. And, your employees will re-coup benefits that improve the speed of communication from access to applications that positively impact your daily business—whether it’s through more efficient collaboration with colleagues, or improving customer response times. Ultimately there is a high cost, in terms of inefficiencies and operational cost, when you continue to operate an outdated or end-of-life phone system. Some organizations struggle with selecting the best model (premises, hybrid, or cloud-based) to meet long-term communication needs. Ultimately you’ll look for the platform and vendor that has the flexibility to customize the right solution to meet your specific needs. 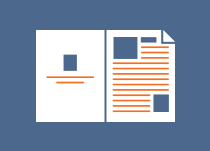 To learn more about the risks associated with running an outdated communications system and the steps you should take in purchasing a new system, fill out the form to download the white paper written by Dave Michels, principal analyst at TalkPointz. Hey Buddy!, I found this information for you: "Trends in Hospitality: HITEC 2013 Preview". Here is the website link: http://nectoday.com/trends-in-hospitality-hitec-2013-preview/. Thank you.